Strawberries are loved worldwide. The most cultivated and consumed are from the genus-species Fragaria ananassa. Another species grown wildly is the Fragaria Vesca. Wild strawberries were found more than 2000 years. Now, America is the worlds to producer. The earliest strawberries were grown in Brittany, France in the 1950s. Nowadays, people eat strawberries fresh, cooked, processed or stored. It is best strawberries to buy strawberries a fed days before eating. Those that are still shiny with deep red color, firm, plump and has its leaves attached are best to choose from. Choose those that are in medium size as they contain more flavor. Two days are maximum for storage without loosing much of its vitamin C and polyphenol antioxidant. 90-95% humidity is what they need for storage. Most refrigerator has somewhere between 80-90% humidity, so put them in cold storage bin or sealed container in 2 Celcius level. These beautiful red fruits can also be stored in the refrigerator for 1 year. Clean them by washing then patting them dry. Take out the stem if you want. Place theme in a flat pan and freeze them. Take out and put the frozen strawberries in a plastic zip bag. Add a sprinkle of lemon juice to preserve the color. Strawberries have healthy features. They are an excellent source of vitamin C, magnese, unsaturated fatty acid. researcher have found that strawberries can be remedies to threat depressive illness, improve ulcerative colitis and Crohn’s disease controlled by the salicyclic acid. Polyphenol helps regulate blood sugar and maintain a healthy live for those suffering with type 2 diabetes. It has anti-cancer benefits for breast, cervical, colo and esophageal cancer. 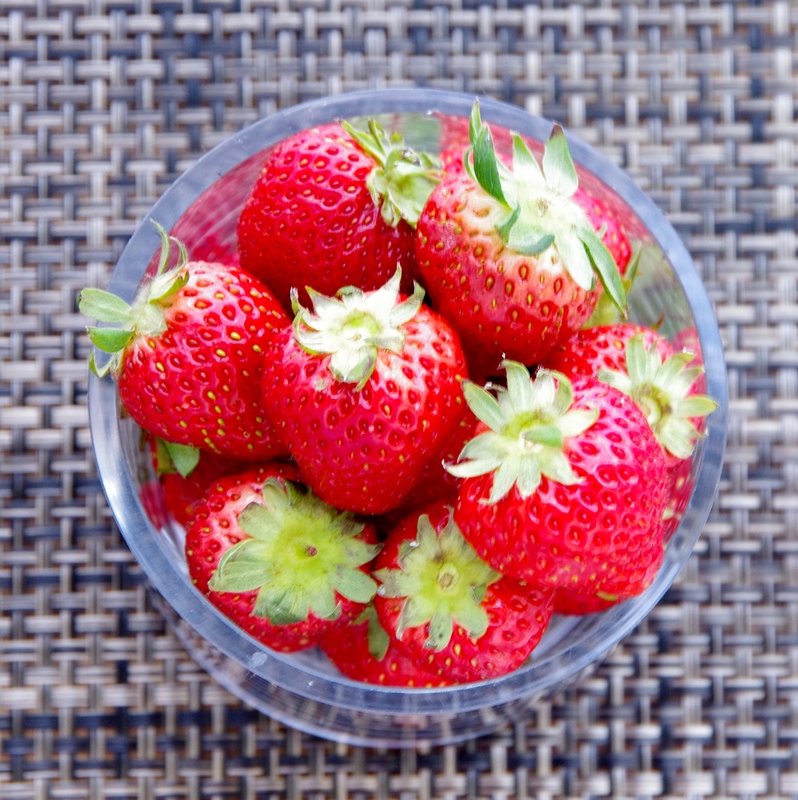 People can be allergic to strawberries caused by the red anthocyanin that it contains. The reactions takes form as similar to hay fever, dermatits or hives and cause breathing problems. I always plant strawberries in my small garden because my daughter like to pick them when they are ripe. Water the plant only at the bottom and not the leaves because it will make them rot. They need a lot of sun and sandy soil so the best time to plant them is in Spring or summer. Manure and fertilizer will help them grow more. The common strawberries are very prone to fungus, slime mold, grey mold, leather rot, red stele, verticillium wilt, black root rot, and nematodes. When infected, spray them with lemongrass oil daily and change the bed at least 4-5 years.